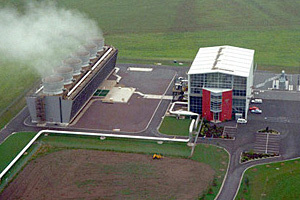 Poihipi power station is located just out of Taupo and was commissioned mid 1997. The station was completed in 18 months which was a tight time frame for such a project but despite this it came in under budget. The station consists of a single condensing steam turbine supplied from four shallow wells via a 1.5km pipeline. This is coupled to a 55MW Fuji generator although actual output from the station is somewhat limited by resource consents. Contract Instrumentation Services was responsible for the instrument calibration and commissioning working under McMahon and Associates, the electrical engineers for the project. CIS covered all instrument work required from the steam field flow monitoring required for resource consents through to the turbine vibration and protection systems. 2019 © Copyrights All Right Reserved By contract Instrumentation.